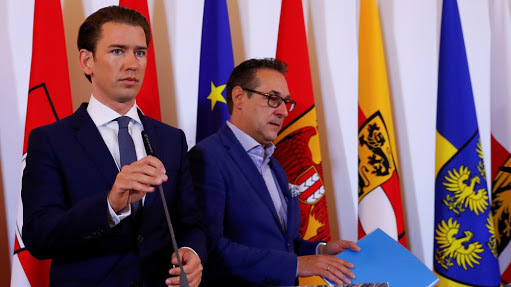 Home / News / JUSTIN: Govt Shuts 7 Mosques, Sacks "Political Imams"
JUSTIN: Govt Shuts 7 Mosques, Sacks "Political Imams"
Austria will shut seven mosques and expel several foreign-funded imams in a crackdown on “political Islam”, Chancellor Sebastian Kurz announced on Friday. Kurz said the moves came after an investigation by the religious affairs authority into images which emerged earlier this year of children in Turkish-backed mosques playing dead and re-enacting the World War I battle of Gallipoli. The photos, published by the Falter weekly, showed the young boys in camouflage uniforms marching, saluting, waving Turkish flags and then playing dead. Their “corpses” were then lined up and draped in the flags. ATIB itself condemned the photos at the time, calling the event “highly regrettable”.